For eleven years we have been practicing, researching, implementing and honing our weight loss approaches to provide the best weight loss and weight maintenance system in the country. We started with one successful clinic and have branched out to 5 clinics in our market. Find our clinics at www.weightloss-md.com. 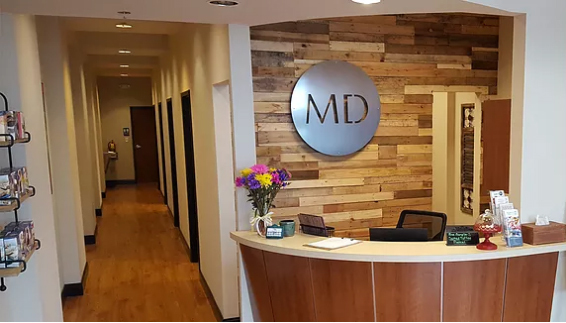 From large to small, starting fresh with a brand new brick and mortar clinic or adding on to your existing medical practice, medspa or surgical center, we have a model for you and all the resources you need. ﻿Our programs involve using FDA approved medications along with over thirty different customizable diet and exercise plans. Add to that Low T protocols for men and BHRT protocols for women and a full complement of injectable medications, vitamin combinations, privately labeled nutraceuticals, and protein products and you’ll see we can provide you with all the resources you need for your new venture. We have helped thousands of men, women, and children achieve their weight loss goals, one by one. Now, we are ready to help you apply our success story to your area. At the heart of WeightLoss MD is education. We empower our patients and promote an experience that gives them the tools, knowledge, and motivation to succeed in losing weight and maintaining their weight loss. Similarly, we empower our Practitioner trainees with all the tools, knowledge and motivation to succeed in opening and operating their own clinic. You are making the right decision at the right time to offer weight loss. Google Trends shows that internet searches for weight loss are up over 26% in the last four years and up over 14% from last year. Search volume for Bio-Identical Hormone Replacement Therapy and Testosterone Replacement Therapy are up as well. New patients are looking for these services which means they are looking for you. We have trained 58 groups in 25 States whose specialties include Aesthetics, Anesthesiology, Chiropractic, Concierge, Dietitian, ED, ER, Family Practice, Hospitalist, Internal Medicine, Gastroenterology, General Surgery, Gynecology, Hepatology, Hypnotherapy, Infectious Disease, Internal Medicine, Obstetrics, Nurse Practitioner, Orthopedic, Pain Management, Physician Assistant, Plastic Surgery, Psychiatry and Urology.